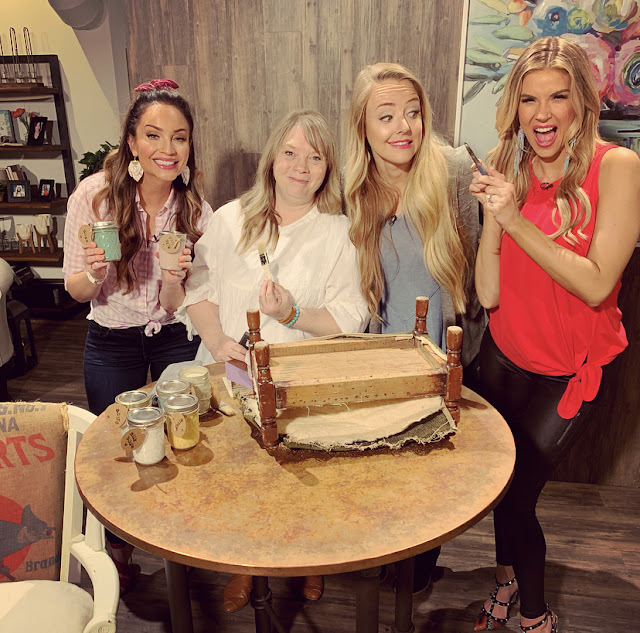 We are freshly back from our southern classes and our super fun Fresh Living segment on KUTV this morning where we were able to give a sneak peek of our new paint line...yes, I said paints! We have been working on this for about a year now and are so excited to have our colors ready and trials finished and now we get to share them with you. We looked into paint suppliers to help us with our barn quilt needs, which anyone who has taken one of my classes knows you need a thick paint with optimal coverage & a paint that works well with distressing and finishing techniques to allow the natural beauty of the wood to come out and enhance the good stuff! 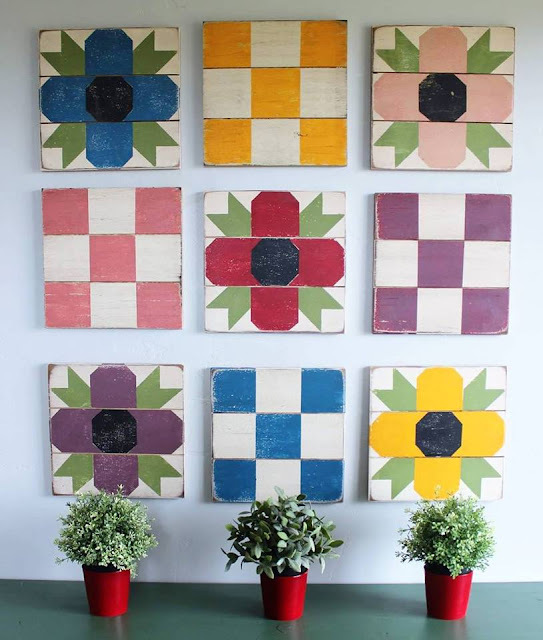 Prairie Paints by Tweetle Dee are chalk and clay based paints in our signature colors. 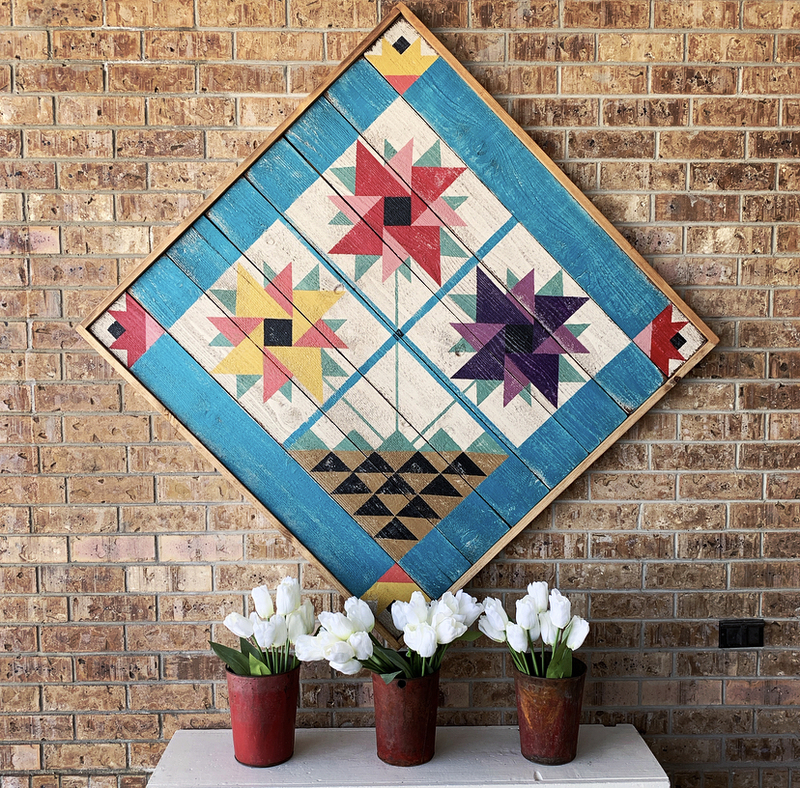 We use these colors in all of our barn quilts, and furniture that we repurpose. So many of you have asked over the past few years for our colors because you want to the aged look that we custom mix. Now with Prairie Paints you will be able to get our colors exactly the way we finish them from the beginning. Our line will release June 1st! While we were in the south we stopped into a small antiques shop and found a darling chair that would be perfect to paint and show a few techniques for how to deconstruct a piece of furniture. It was sturdy and comfortable and just the right size to sneak into my van along with a chicken nesting box that I was not going to leave behind! 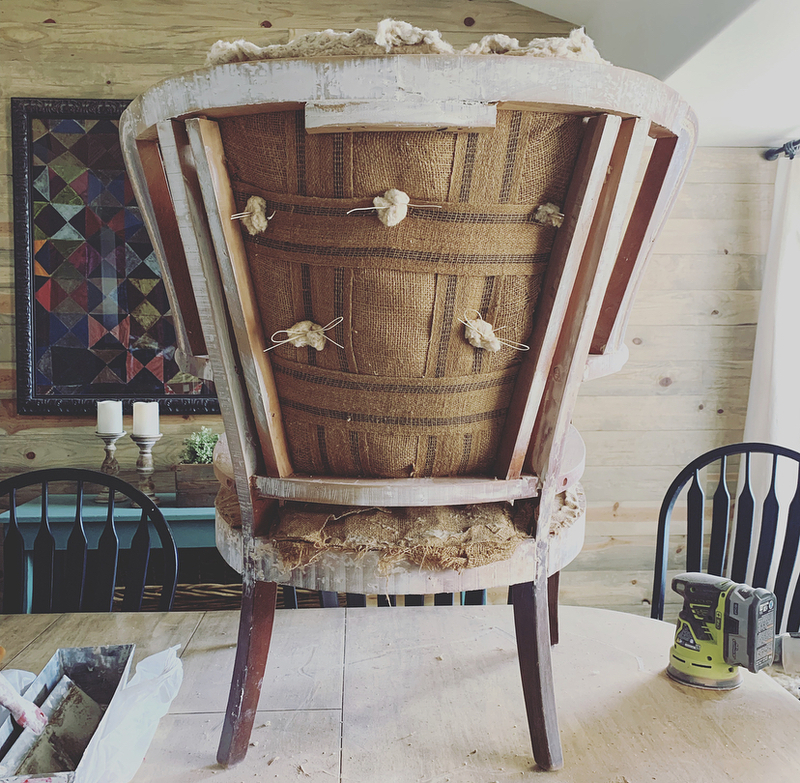 Along the way we were going to deconstruct it, but the huge tornadoes going across the south made it a little difficult to work a chair, so we began yesterday morning by removing the upholstery (carefully)! Whenever you deconstruct a piece you want to peel back the layers softly to let out the underneath beauty without destroying it. So, my favorite tools for removing fabric is a thin screwdriver and plyers. It takes a little patience, but it isn't hard at all. 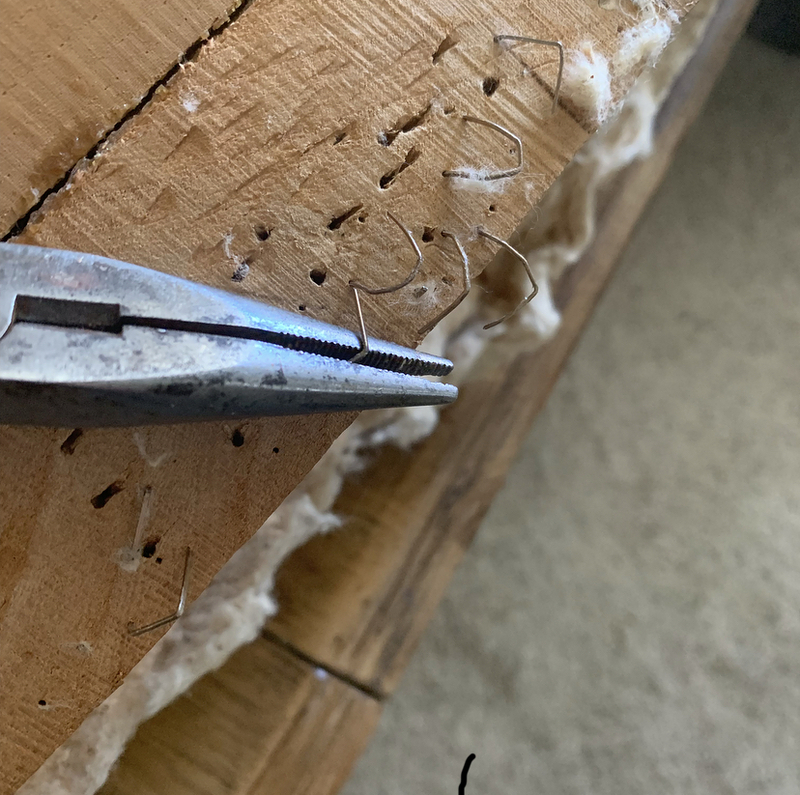 In fact, pulling nails and staples is relaxing! 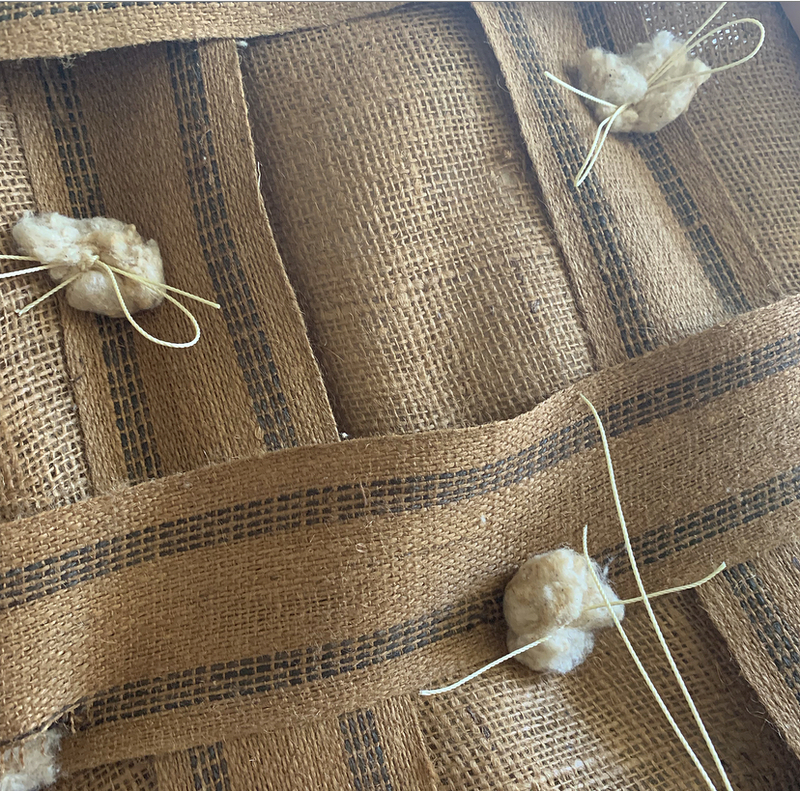 Underneath the cover fabric, we found this beautiful mesh of ticking tape and tufted threads. I knew I wanted to keep them! So, we trimmed off everything else and left the back in tack...no pun intended! If you go to Kutv Fresh Living you can watch today's segment where I showed a few tips on how to remove fabric and fill holes. You can use simple painters fill in the holes you want covered. Some holes are fine to leave showing as they lend character to the piece, but there will be hundreds of holes. So you will want to fill some of them. Let the putty dry and then lightly sand. Once it is sanded, then you can choose your favorite Prairie Paint color and paint away. For our Deconstructed Chair, we used the Milk House White. It is the softest warm white and looks like fresh cream. (You will want to drink it!) A couple of coats, let dry, and lightly sand the edges, seal with our finishing oil and you are ready to cover with lined or whatever specialty fabrics you want. 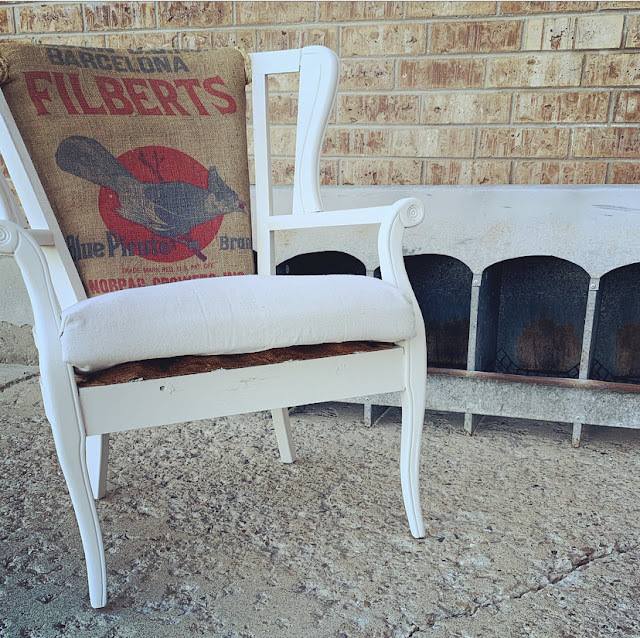 The fabrics we choose were drop cloth linen and a feed sack burlap piece that I found in one of our local antique shops. We hand stitches the cushion leaving the burlap and springs visible on the bottom and used a staple gun to secure the feed sack to the back. We choose to cover the staples with thick twine like we did on the sofa (see previous posts). 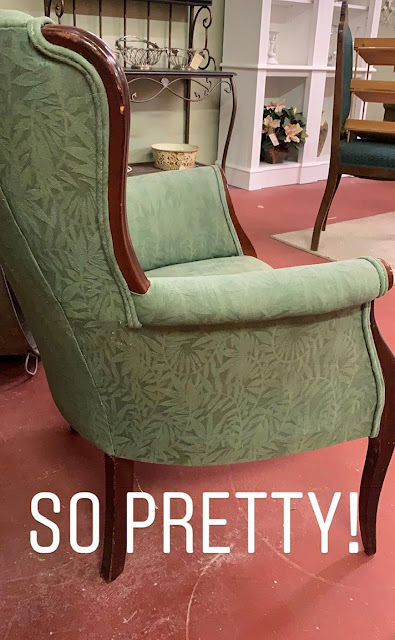 I hope to bump into you at all the antique shops and flea markets looking for fabulous pieces to turn from old and dusty to farmhouse darling! 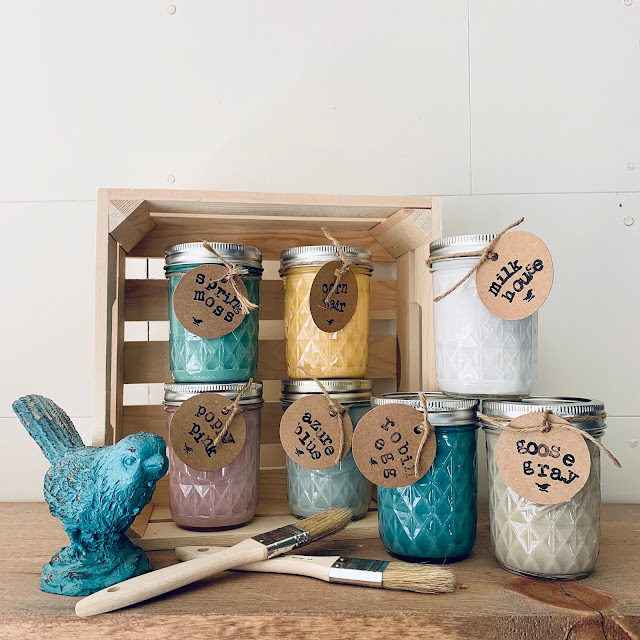 Enter to win a crate of our new Prairie Paints by Tweetle Dee by going to our Facebook or Instagram page and commenting on your favorite color. Then, tag or share with a friend. The winner will be announced on Monday! This is the week of our annual Hippity Hoppity Spring Shop Sale! There is so much new here which echoes the new flowers, chicks and fun on the mountain. 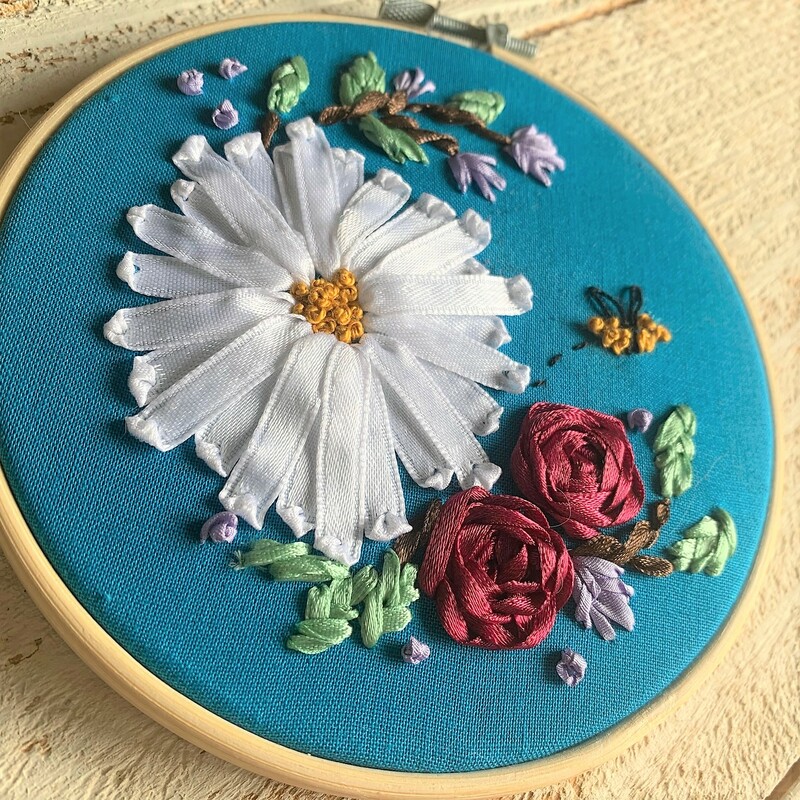 We have new barn quilts, patterns, kits and...oh that new Rosalyn's Garden Ribbon Embroidery! This week save 20% on all orders in The Shop. We are busting out the spring colors and want to share them with you. Go to The Shop and choose your favorite things whether they be thread or paint....ready to love or one of our DIY kits for you to make yourself! Have a Hippity Hoppity Spring week!